One In Every 304 Homes In Las Vegas Is Going To Be Foreclosed! Is Las Vegas Still A Great Place To Invest In Real Estate? Opportunities? One In Every 304 Homes In Las Vegas Is Going To Be Foreclosed! Las Vegas’ foreclosure rate has dropped sharply from a year ago but remains higher than in most cities, a new report shows. One in every 304 homes in the Las Vegas area received a foreclosure-related filing in the first quarter, down 29.5 percent from the same period last year, according to a new report from housing tracker Attom Data Solutions. 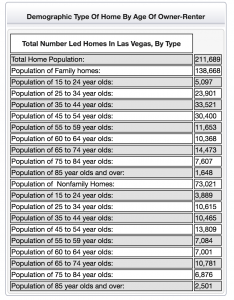 According to Suburban Stats, as of the end of 2016 there are 211,689 homes in Las Vegas. The fact that one in every 304 homes in Las Vegas received a “foreclosure-related” filing is unbelievable. See: https://www.reviewjournal.com/business/housing/las-vegas-foreclosure-dropping-still-higher-than-most-cities-report-says/ Therefore if we do the math that means that there are approximately 689 homes that are in the process of being foreclosed in the first quarter of 2017 alone! That my friends is an OPPORTUNITY! The the basics of foreclosure investing in the USA are pretty straight forward. 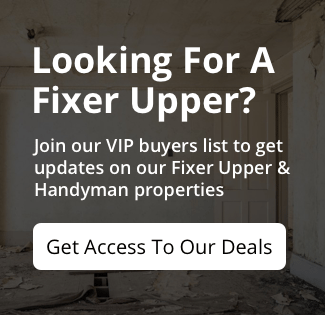 At www.sellinglasvegashouses.com, we are constantly looking for these properties so that we can flip them or hold them for the long term. 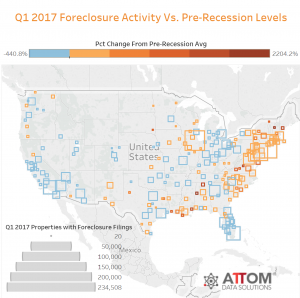 The number of homes that may be foreclosed just in the first quarter of 2017 alone is staggering! We have a limited capacity to flip, buy and hold so please check in with us consistently to see our every growing inventory.